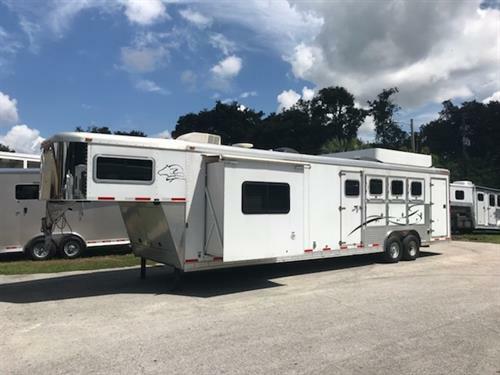 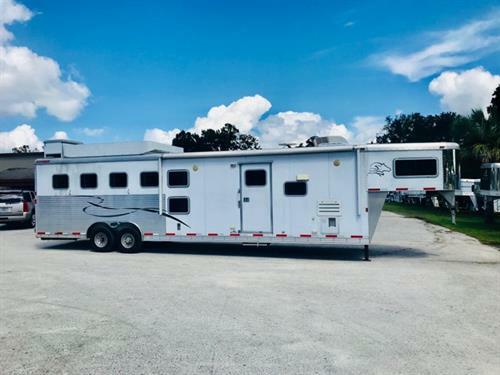 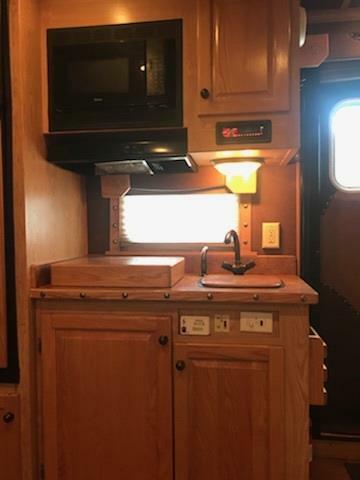 2007 Sooner Bunk Bed (4) horse living quarter trailer with a 16’ bunk bed conversion and SLIDE OUT with a couch, air ducted air conditioning, furnace, sink, cooktop, microwave, 6cu fridge & freezer, large closets and cabinets. 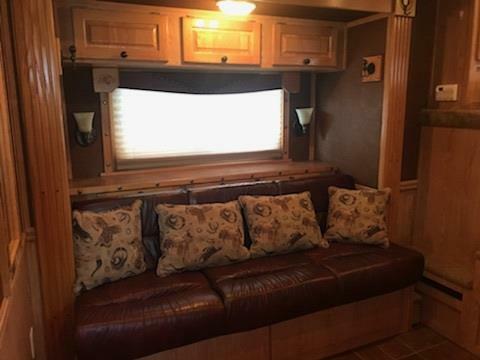 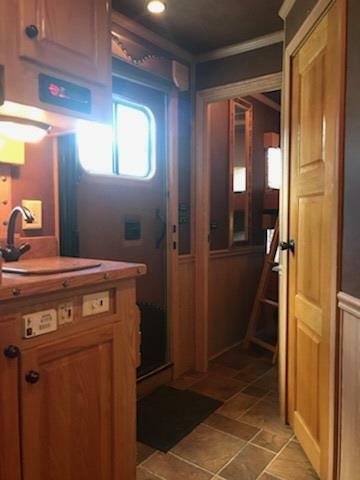 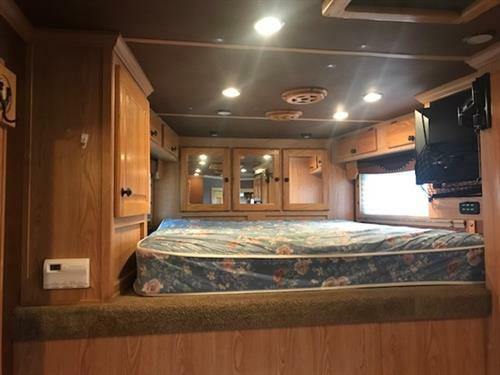 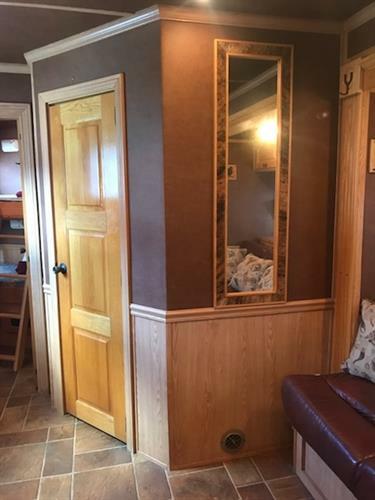 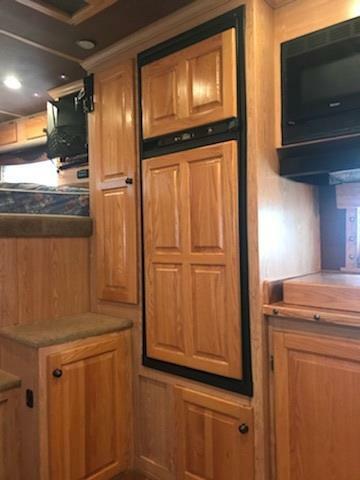 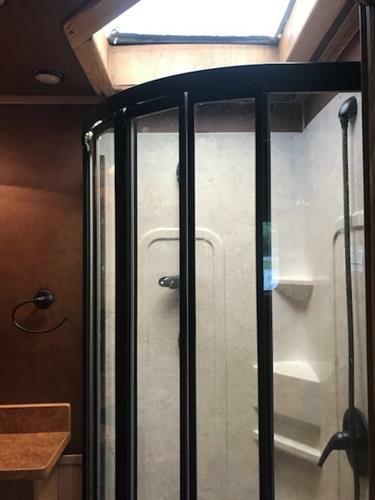 There is an enclosed bathroom located between the living room and the bunk beds with a toilet, radius shower, sink with medicine cabinet and a line closet. 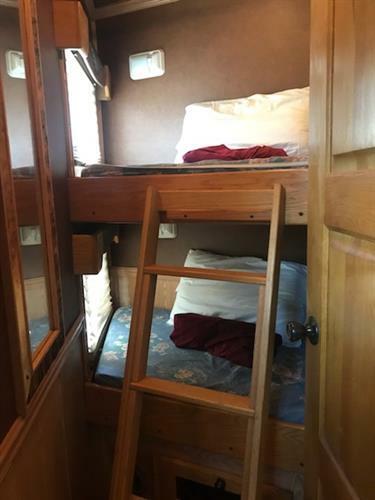 Behind the bathroom you have two 72” bunk beds. 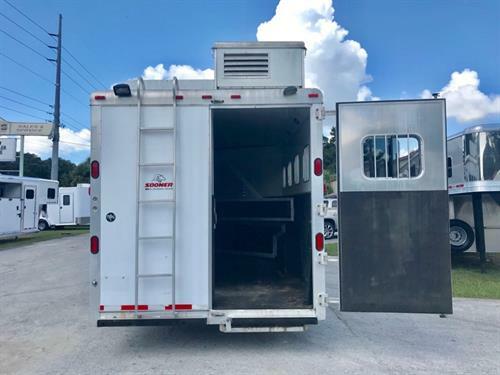 In the horse area you have an interior height of 7’6” tall x 8’ wide, escape door, drop down windows at the horses heads with drop down aluminum bars, sliding bus windows at the horses hips, feed mangers with outside storage, insulated roof, roof vents, rubber mats over all aluminum floor, side rear tack room with a swing out (4) tier saddle rack, bridle hooks and a pad rack with a rear single door entrance for the horses. 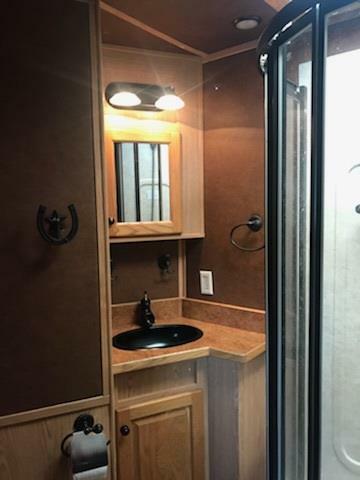 This trailer has an exterior awning, Generator, enclosed front end and a Hydraulic Jack!